Flashcards are great for reinforcing what has been learnt. But constantly flashing them in front of your child and asking what each letter sound is can be boring for her. To be effective, you need to make it fun by turning it into a game or include movements and use it in a variety of ways. 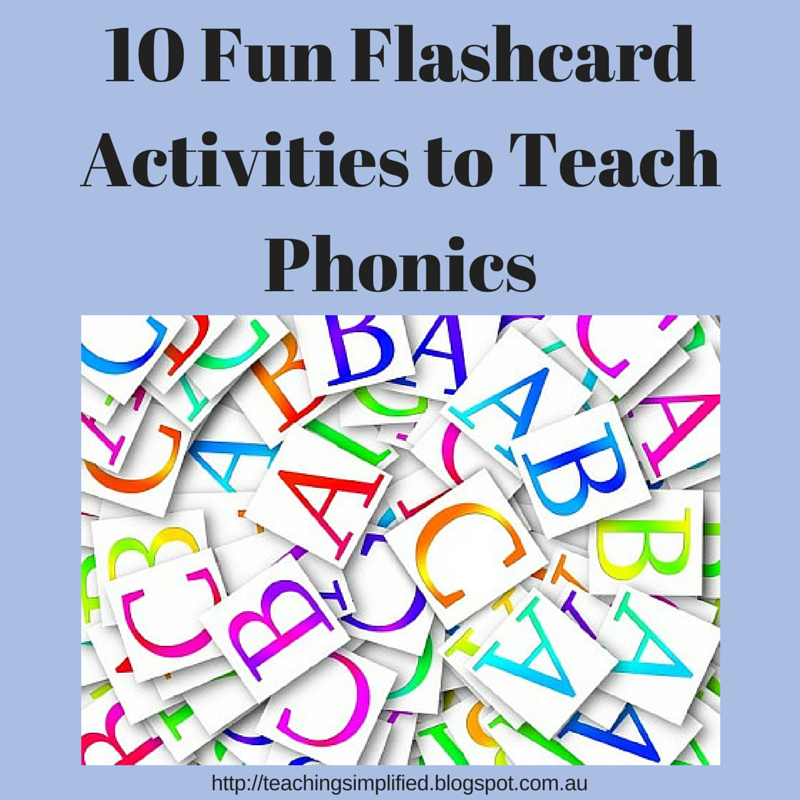 Below are ten ways to use your flashcards to teach your child phonics that are fun. 1. Point to the sound. Display a selection of cards (how many cards will depend on the level of where your child is at). You can start with two cards. For example, if your child is learning s and t, place these two cards on table and ask your child to point to the one that makes the ‘s’ sound. Gradually add other cards. 2. Move to the sound. Display different letter cards around the room and ask your child to run to the card that makes a certain sound. Then say another sound and ask child to jump over to that card. Continue in this way using different movements. 3. Teach me the sound. Give your child selected cards and ask her to be the teacher and teach you the sounds of each letter on each card. 4. Say it differently. Have your child say the sounds of the letters in different ways such as loud, soft, slow, fast and so on. 6. Match letters. Make two copies of flashcards with letters only. Place a few sets on the table. Pick a letter and ask your child to find its pair. Alternatively, you could ask your child to find the card with a certain sound and then find its pair. To make it even harder, place the cards facing down on the table and your child has to find the two matching letter sound cards. Continue until all the cards are matched. 7. Match letters to sounds. Make a copy of a set of letter cards and a set of matching picture cards. Place a few matching card sets on the table. Play the same way as Match Letters, but this time, your child matches the letter to the corresponding picture card that starts with the same initial sound. 8. Match the items to the sounds. Place a letter card onto the table with a few items with the same initial sound. Add other items with a different initial sound. Ask your child to point out the items with the same initial sound as the letter on the card. So, for example, if your child was learning the sounds of the letters a, s and t, find items that begin with a, s and t and place them all on the table. Now place the first card on the table, maybe ‘a’, and ask which items start with the sound ‘a’, then place the s card on the table and ask which items start with the sound ‘s’ and so on. 9. Create movements for each letter. For example, for the ‘a’ for apple card, have your child pretend to eat an apple, for the ‘b’ for ball, have your child pretend to bounce a ball, for the ‘c’ for car, have your child pretend to drive a car and so on. Shuffle them up, show one card at a time and ask the sound of the letter and the associated movement. 10. Use movement cards. Have a set of plain letter cards and insert some movement cards that contain some type of movement such as clapping hands, jumping frog and scratching monkey.. Shuffle them up, show one card at a time and ask the sound of each letter. When your child encounters a movement card, she makes that movement. The movement cards will keep your child interested and captures her attention. She’ll be wondering and looking forward to when one of the movement cards turn up. 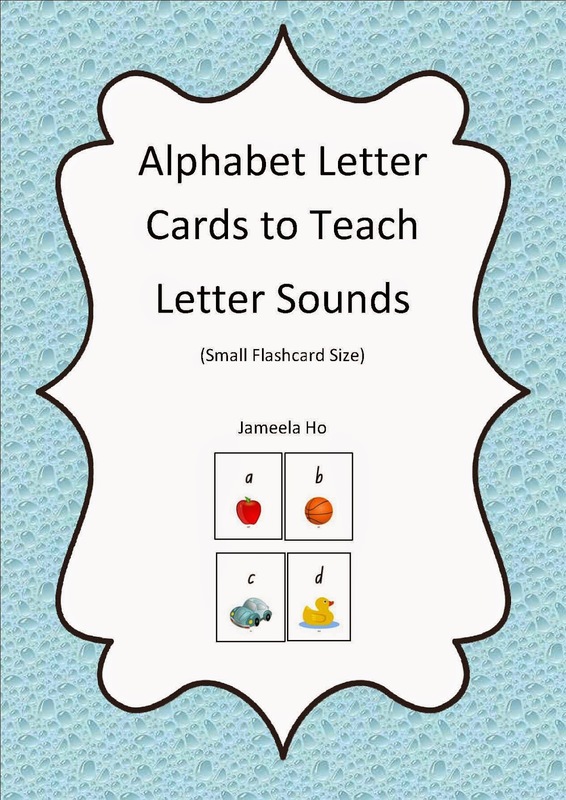 These are just ten ways that you can add variety to your child’s learning of letter sounds with letter flashcards. See if you can come up with other ways to use them to make learning phonics fun! I’d love to read about it in the comments. Also, don’t forget to download your free letter and picture flashcards below.